The 2013 model year Hyundai Genesis lineup grew a lot smaller when automaker decided to drop the standard 5.0-liter model and the 4.6-liter V8 model from the extended lineup. This left the new 2013 Hyundai Genesis sedan range with only two models. The 2013 Hyundai Genesis 5.0 R-Spec model powered by the 429 hp, 5.0-liter Tau V8 engine and the lower end 2013 Hyundai Genesis, with its 333 hp 3.8 liter V6 engine. The reason behind the sliming down of the Hyundai Genesis range given by the company was that of simplifying the lineup. The other possible reason for having discontinued the said models could be for the low fuel economy the larger engines delivered when compared to the V6 from the smaller 333 hp engine. Now the Hyundai Genesis with an efficient option in the form of the V6 and a not so fuel efficient but a more powerful option of a V8, makes a lot of sense and indeed makes matters simpler. But for those who still would like to go for the Hyundai Genesis 5.0 liter V8 and the Genesis 4.6 liter V8, the 2012 model year vehicles are still available. Meanwhile, The 2013 Genesis 5.0 R-Spec price starts at $47,675, which includes the handling and destination charges of $875. That is an increase in price over the 2012 Genesis 5.0 R-Spec of by $300. Hyundai has set the price of the base model at $35,075, including handling and delivery. So, now the price gap between the lowest end and the top end of the model lineup turns out to be a full $12,600, with no options left out in the mid range. 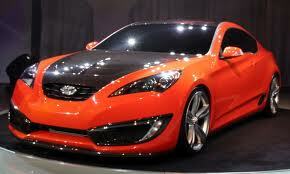 The 2013 Hyundai Genesis 333-hp 3.8-liter V6 models will be available in three different equipment trims. On the other hand, the older 2012 Hyundai Genesis 4.6 liter V8s and 5.0 liter V8s will be available for $45,375 and $45,875 respectively, including handling and delivery charge of $875. Insideline also says, with the 2014 model year, Hyundai is set to bring a complete design makeover to the Genesis model lineup.